with the main topic being my thoughts about CRM projects having unclear goals. In this article I’ll be covering User Adoption. Getting people to accept change is a challenge for any change programme and CRM programmes aren’t an exception. In a recent research by Forrester they found that nearly half of all problems with CRM programmes are the result of people issues. Studies have shown that when an organisation takes away old processes people can go through the change curve of shock, denial, anger and depression before they reach acceptance and integration. This is particularly true if the individual has worked hard to develop work-arounds to cater for existing customer management inadequacies. Taking people through change requires considered management. The good news is that by now you should already have clear goals & created suitable CRM business case, this means that change management can start early. Share and publicise your CRM business case so that everyone knows what the organisation is trying to achieve with the CRM programme. Remember CRM is NOT a technology, it isn’t software; Customer Relationship Management is a different way of working. It is crucial to explain the benefits of the new way of working, showing how things will be improved for different people. Addressing the “what’s in it for me?” mentality is important right from the start. With a significant change programme like Customer Relationship Manage you should consider a dedicated sub-site on your intranet. Above all, the tone for a new customer-centric culture, adopting new processes to serve customers more effectively and generate mutual value should be set early on by senior management. Involve all levels of staff in requirements gathering and discovery – not just managers and not just team leaders. You need to include the frontline staff who will be using CRM every day as they are likely to be all too well aware of customer management bottle-necks, may have already devised work-arounds to make up for existing inadequacies, which they could be reluctant to let go, and they’re going to be using the CRM software day-in day-out, maintaining its content: your customer data asset. Just because you can implement a specific workflow, or add “bells and whistles” to your CRM software, it doesn’t mean you should – at least not right away. For a new user, easy of use is far more important than lots of functionality. The more functionality available, the more intimidating the software will seem, and the harder it will be to learn. Be particularly carefully to not create forms with lots of fields, or too many mandatory fields. It’s really important to keep things simple at the early stages. Closely related to keeping it simple, you CRM programme should roll out new capability bit-by-bit, not as one big-bang approach. People just won’t be able to cope with everything changing an once. Think how Apple have 90%+ user adoption of each release of iOS, this is each release is a gradual build on the previous one, so that no-one is intimidated by the new. Indeed this bite-sized approach will make users hungry for new capability – listen to their needs and plan to deliver new capability regularly. Extensive user acceptance testing, ideally using a model-office and real-life data, will also help to get staff onboard early. Listen to their issues and address any problems. Use their positive experiences of testing to generate and publish success stories even before launch; getting the users themselves to demonstrate to their peers “what’s in it for me”. Train often and train well. Training can start even before the release of new capability, making sure that people understand the concepts and reasons behind the forthcoming “release”. User Acceptance Testing is another way to pre-deliver training to make sure that users start to understand the forthcoming changes. Whilst some training can be generic across all roles, such as terminology, navigation, etc; you must also prepare to deliver role-based training to address the “what’s in it for me?” Training needs to be relevant to the everyday tasks that people will need to master and apply; this is equally true for staff, team-leaders, managers and the exec. Well motivated people are keen to understand how to get their job done and how the CRM software can help them achieve that; they really aren’t interested in all the features and functions. Having process-centric training means that training must be delivered against the configured solution, not the out-of-the-box vanilla CRM software. If a business trains on an out-of-the-box CRM solution that has not yet been tailored to their specific business requirements and processes, the system is likely to look and act completely differently when ‘go live’ comes round, which can render much of the early training redundant. One of the most common mistakes is having training being delivered by people who do not understand the processes. 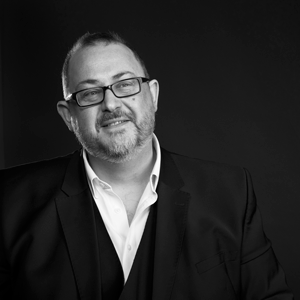 It is important for a trainer to understand where the business and users are coming from and to be able to clearly articulate how the system benefits not only the user but the business as a whole. This means that the most effective trainers will be recruited from within your business rather than external service providers. Ideally sales managers should be responsible for training their sales teams as this ensures that the managers themselves adopt CRM. Training cannot be a one-off exercise; new people will replace leavers, and the newcomers will need to be formally trained in the way you manage customer relationships. Failing to have ongoing training will mean that “myths” develop about how and why things are done. Not only that, but as new staff arrive they will also bring new ways of working, and your CRM practices will need to evolve over time and so will the training. Ensure that every manager conducts every sales meeting from within the CRM application, using the dashboards and underlying data to evaluate sales opportunities. Sales managers should adopt the attitude of “if it isn’t in CRM it doesn’t exist”, as this is guaranteed to ensure the sales methodology is adhered to. Similar approaches should apply to your service and marketing teams too – managers must conduct their meetings and tracking from within CRM, if they demand that “tally sheets” or some other reporting is done outside of CRM then users will see no point in adoption CRM. If people don’t like the new way of working, don’t see it adding any value to them, and they are not forced to do it, then they won’t. It’s much better to make the new CRM way of working engaging rather than forcing them to follow processes they dislike. In short you need to answer what’s in it for them. A good example here is expense handling: no matter how complex or cumbersome pretty much everyone follows their company’s expense management process and uses the expense management software. This is because we want our money back, indeed so clear is the “what’s in it for me” you will find that training can often be very minimal as we’re so keen to self-learn. It has been said that “many sales people would rather make an additional 10 calls per day rather than update their records”. The last thing we should hear is that “I’m getting bogged down with admin when I should be out selling”. Often sales people don’t see how using CRM software benefits them personally. What they may not realise is that they could be missing out on following up with prospects or forgetting crucial information; prospect farming is a lot harder with incomplete or missing data. All too often, CRM software is viewed as “a tool for managers to keep an eye on me” rather than a tool that enables them to be more successful. Selling CRM to sales is an important part of user adoption. Put CRM in context; tell them why CRM is important to your company and to them as individuals. Salespeople may just see CRM as a way to keep to score and something that marketing use to send out mailings, it’s not and you must ensure they know why it’s important. Explain how it benefits them; make sure they know that proper use of the system will save them time searching for contact information; allowing them to set reminders for follow-up calls or appointments; tracking results and allowing them to see what most effective; saving time by using pre-built sales pipeline reports; and simplifying lead qualification criteria tasks. Share any ‘wins’ with CRM; any deals that were won due to its deployment, any potential problems that were avoided or any data that you are now able to analyse. All of these demonstrate the benefits of CRM to your sales team. Listen to feedback. I’ve previously mentioned the importance of bite-sized chunks. Listen to your sales team, their needs and complaints then act on their feedback to further encourage adoption. Use rewards to incentivise the sales team is a great way to ramp up involvement. It’s important to keep the goals team-oriented rather than individually-centered to promote cooperation and sharing of lessons learned among system users. But there is scope for using gamification of CRM through leaderboards, points, and “badges” to appeal to their competitive nature. Above all ensure that management set an example by conducting every sales meeting from within the CRM application, using the dashboards and underlying data to evaluate sales opportunities. Sales managers should adopt the attitude of “if it isn’t in CRM it doesn’t exist”, this is guaranteed to ensure the sales methodology is adhered to. CRM moves customer information to the front line, enabling them to make as many decisions as possible without need for approvals or handing-off to more senior staff. 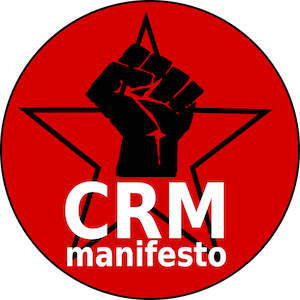 The CRM Manifesto continues in the theme of frontline staff adding value to the customer: “by giving our customer-facing staff ready access to information about our customers, their interactions with the organisation, and their products and services, our staff can best exercise their talents to add value to the customer interaction”. This is a very different way of working for some people, hence the need to carefully manage the change to ensure user adoption. To misquote Kevin Coster “If you build it, they won’t necessarily come” but with a change management workstream within your CRM programme you can ensure a smooth transition.